If you have already read Odd Mom Out, what were your feelings about Taylor Young prior to reading Mrs. Perfect? Did you like her and feel a connection with her or were you annoyed with her perceived shallowness? What were some of her traits that you either liked or disliked? Discuss the relationship between Taylor and Marta. What are the major differences between their characters? Are there any similarities? Can you relate to their feelings about each other? Are there any women in your community that really grate on your nerves? Why? Do you think if you knew them better, you might actually like them? What did you think of the attitude towards Lucy by the women at the country club pool? Do you think women are generally catty towards other women who are going through a tough time? Does wealth and social status have a lot to do with our outlook and attitude? Compare Nathan’s attitude towards Lucy as opposed to Taylor’s. Discuss the role Marta plays in helping Taylor start getting her life back in control. What’s your impression of Marta’s character? If you read Odd Mom Out, did your impression of Marta change after reading Mrs. Perfect? Did you like her better in Odd Mom Out or in Mrs. Perfect? What did you think of Taylor’s relationship with her mother? Do you like her mother? In what ways has Taylor’s childhood help shape her into the woman she is? Did you find that as you knew more about her past, you were able to be more understanding of her personality and the expectations she put on herself, her family, and anyone else in her life? Who or what do you think had the biggest impact on Taylor by the end of the story? Is she a better and stronger person? Would you want her to be your friend? What was your impression of the relationship between Taylor and Nathan as the story begins? Did your impression of each character change through the novel? What was your impression of Nathan’s character? What sort of husband and father is he? What are some of his strengths that endear him as a man and what are some of his failings? Did Taylor deserve a husband like Nathan? Did he deserve a wife like Taylor? Nathan sugarcoated the true nature of their finances for a while until he was forced to admit the truth to Taylor. Her reaction was a mixture of emotions. How realistic were their reactions to the situation? Should one person be solely responsible for the family finances? Was Nathan the right one to handle the finances? What are some of the most important lessons Taylor learns along the way about herself and her attitude towards life and her marriage? What were some of the key factors that helped Nathan and Taylor pull their relationship back together? Did you have doubts they’d pull through in the end? Were you satisfied with the conclusion of the story? Taylor puts a lot of emphasis on what her house means to her. How do you relate to her feelings about it? Discuss Taylor’s fashion sense and her addiction to retail therapy. Do you love to shop? Have you ever relied on retail therapy to get you through some emotionally tough situations in life? Should people seek help for this as a legitimate addiction? Taylor’s friends know the truth about Nathan’s job situation before she does. How do you think you’d feel if you were in Taylor’s shoes in such a situation? What did you think about Taylor’s inability to accept the facts about their situation? Have you ever been in a situation like Taylor’s where you had to let go of so much that you held dear? How did you deal with it? Or if not, how do you think you would deal with it if you were in her position? What about learning new skills late in life in order to survive and support your family? How do you think you’d fare if you had no choice but to take a job you had no training for? In Chapter 23, Taylor says, “People with money are respected. People with money are listened to.” Do you agree with this? How much impact does social standing have on women and mothers in today’s world? Are we, as women, guilty of letting social standing color our judgment of other women even on a subconscious level? Do you volunteer at your children’s school? If so, how much does your volunteer work help in defining your own personality? How many of your own personal friends are women you’ve met and befriended through volunteering at school? If not, why do you choose not to volunteer? What are your feelings about those that do? Taylor was really excited about meeting up with her friends on the auction committee at Tully’s but that goes horribly wrong when she gets a vote of no confidence and is booted off. How did you feel about Taylor at that point? What would your reaction have been if you’d been in her shoes? Was the committee right to remove her? Do you belong to a book club or want to belong to one? What would you say are the main ingredients of helping to make a book club successful? Would you enjoy Taylor’s book club? Why do you think it’s so competitive? Have you experienced competition like that in your world? 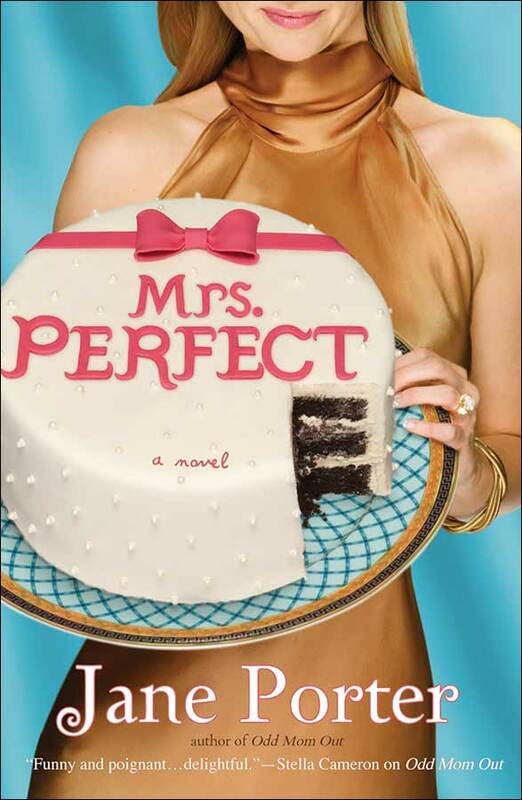 Discuss the concept behind the book’s title – Mrs Perfect. What is your definition of being Mrs. Perfect? Do you know anyone like Taylor in real life? How often do you feel pressured about being perfect in your own world? What aspects of Taylor’s personality can you identify with in this respect? Can perfectionism and happiness find a reasonable balance in life? Can a woman lead an honest life if she is always giving the illusion of being the perfect mother and perfect wife with a perfect family and home? At one point in the story, Marta says, “…you can’t hinge your happiness on other people’s. It’s impossible to always make others happy. Some people just don’t want to be happy. Others are looking for someone to blame.” Do you agree? Disagree? What’s your take on happiness? What are the core themes of this novel for you?